Until November 2016, Instapaper offered Instapaper Premium for those who wanted to get the most out of Instapaper. This paid subscription offered a range of extra features for $2.99/month or $29.99/year. And it was pretty popular. Then, after being acquired by Pinterest, Instapaper dropped Premium Instapaper Premium Is Now Free For Everyone Instapaper Premium Is Now Free For Everyone Instapaper is dumping its paywall and offering its premium features to anyone and everyone at no extra cost. Result! Read More , offering its previously paid-for features up for free. 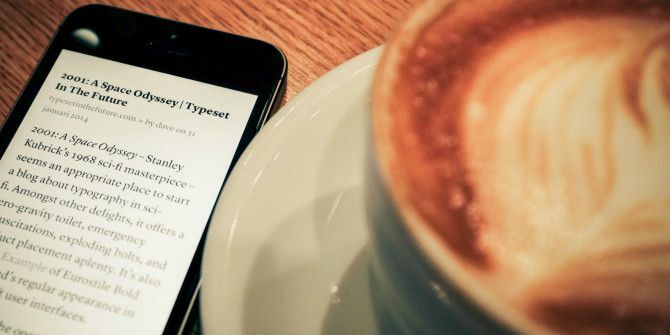 In July 2018, Instapaper became independent once again Instapaper Breaks Away From Pinterest Instapaper Breaks Away From Pinterest After a couple of high profile changes of ownership, Instapaper is once again going independent. What that means for the future of Instapaper is anyone's guess... Read More , and now, less than a month later, Instapaper Premium is back. Instapaper announced the return of Premium in a blog post titled “The Next Ten Years of Instapaper“. This was published on Instapaper’s first day as an independent entity again, and is designed to be the company looking forward to the future. The relaunch of Instagram Premium is to “ensure Instapaper can continue for the foreseeable future,” as “it’s essential that the product generates enough revenue to cover its costs.” Premium should help Instapaper avoid seeking venture capital. Instapaper also announced that it’s returning to the European Union. Instapaper hasn’t been available to users in European Union countries since the General Data Protection Regulation came into force in May 2018. However, the company has now made the necessary changes to ensure it complies with GDPR, and so European users should regain access to Instapaper. As a goodwill gesture, Instapaper is offering all EU users six months of Premium for free. How Will Instapaper Users React? Taking the necessary steps to ensure Instapaper can be used in the EU again How Could the GDPR Affect Smart Home Devices? 2 Examples of Downed Services How Could the GDPR Affect Smart Home Devices? 2 Examples of Downed Services Smart home and Internet of Things devices may not be obvious risks when you think of the new GDPR law, but they too could be affected. Read More is a good move, even though it took far too long. However, asking people to start paying for features they’ve been using for free for a couple of years will surely rankle with some. Explore more about: GDPR, Instapaper, Note-Taking Apps. It's a cool service but I will be seeking a free alternative. Pocket is much better and it's free for the most part.